For anyone Jewish, Israeli, or otherwise who followed the Gilad Shalit situation, 18th October 2011 was an emotional day. In Israel, it is said that no-one worked and the entire population was glued to the TV. 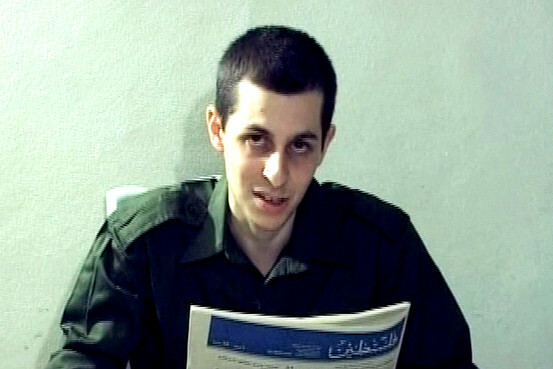 For after almost five and a half years in Hamas captivity, following his abduction in June 2006, an asserted international campaign led by his father, and hard negotiations, Private Gilad Shalit became the first Israeli soldier to return home pale, skinny and alive in exchange for 1,027 Palestinian prisoners. This low-budget Israeli documentary, produced and aired almost exclusively for Israeli TV, gives us an insight into Gilad’s life during his illegal incarceration and how he is getting on with life since being released. Gilad Shalit, looking pale and gaunt whilst in captivity, wherein he was not allowed to go outside for five and a half years. The documentary is only 40-45 minutes long and skips back and forth between Gilad’s time in captivity and events subsequently. 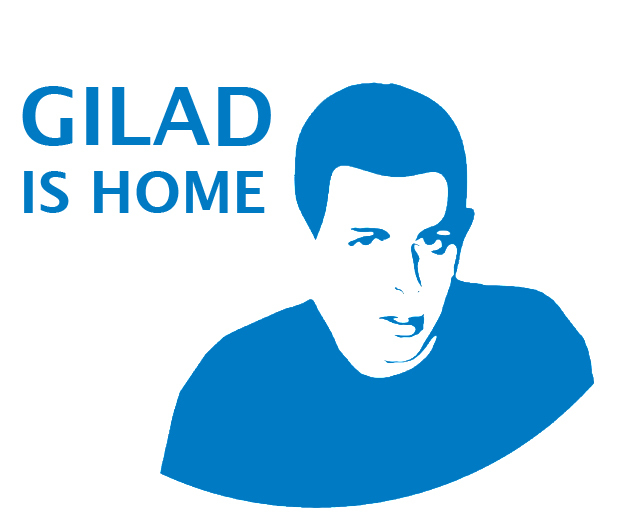 Since there is no footage of Gilad’s day to day life in the hell-hole underground cell that he was forbidden to leave whilst in captivity, interviews with Gilad since returning home (smiling and with the colour having returned to his face) are our only insight into what his life was like. The empathy one feels for Gilad is heart-breaking as he tells us his monotonous life in the lonely cell. He kept to a schedule and refused to let himself lie on his bed and just think, since that filled him with despair. The schedule often comprised of playing games with himself, such as bundling up shirts/socks into a ball and seeing how many times he could throw it into a basket/bin in a row. However, as Gilad’s time in captivity went on, he tells us that his captors gave him a TV and a radio (how nice of them), watched games of sport with him, and played chess with him, which all helped to make the time go a little faster. Furthermore, Gilad says that occasionally Hamas broke the monotony by making him record a video or write a letter. Sometimes these were released, as the video in September 2009 testifies, and on other occasions they were not; although, his captors never told him either way. 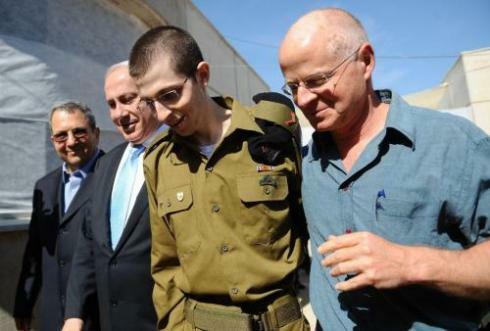 Gilad Shalit on the day of his release, walking alongside his relieved father, Noam (right), and Prime Minister Bibi Netanyahu (left). Yet, it is not just Gilad’s time in captivity that is touching, but how he felt in the days leading up to his release, wherein he says (with some humour) that he hardly slept because he was so nervous, fearing it would all go wrong; and how he has fared in trying to rebuild himself since coming home. After rarely speaking to anyone regularly for years, one can only imagine how hard it must have been for him to re-adapt into a social scene again. Interestingly, Gilad claims that one of the worst aspects of coming out is that he feels left behind since his friends and family had moved on with their lives, whilst he hadn’t. Moreover, Gilad talks fondly of when he went to New York and saw the Statue of Liberty, the symbol of freedom personified, which he believes is symbolic of his life. But his trip also revealed another side of him: a desire to lead a normal life. Gilad is a painfully shy person and being a celebrity sits uncomfortably with his character, even though he knows it is something he has to live with. Simultaneously throughout the documentary, we are given the perspective of Gilad’s mother and father, Aviva and Noam. Noam appears stern before the cameras. He says little but his determination to bring his son home is evident in his expression, as is his relief on the day of Gilad’s return. Gilad’s mother, though, is different. She weeps and prays for him while in captivity, and cries with joy afterward when he is home and returning to good health. 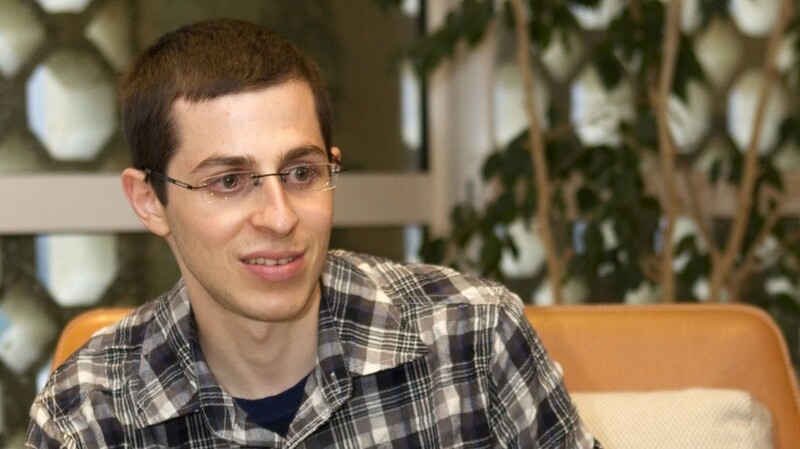 Gilad Shalit, as he looks today. Although skinny, he looks happy and healthy. Over-all, the documentary is simple, short, and moving. The film covers many fascinating areas about Gilad before and after the events of 18th October 2011 from his angle and that of other members of the Shalit family. The documentary does not discuss the Israeli-Palestinian conflict or re-open the debate about whether the price paid for Gilad’s release was worth it. Nor does it deal with any Post Traumatic Stress Disorders that Gilad may suffer from, or how Gilad feels toward his captors. This is understandable. The first is not something Gilad can answer objectively, and the latter two are personal matters and would be insensitive to ask. (And even if the issues were raised, they most probably could not be aired for political reasons.) In some ways, it is a shame that these topics are not raised. Arguably, they would have made the documentary more interesting. Nevertheless, the documentary deals with almost all other issues and makes one’s eyes well with water. This is because the story of Gilad Shalit is such an affecting one. It’s a miracle he returned home alive. Two years have passed since his release and he seems to be making the right steps toward a full recovery. Please God he can go on to fulfil his potential. He deserves it!